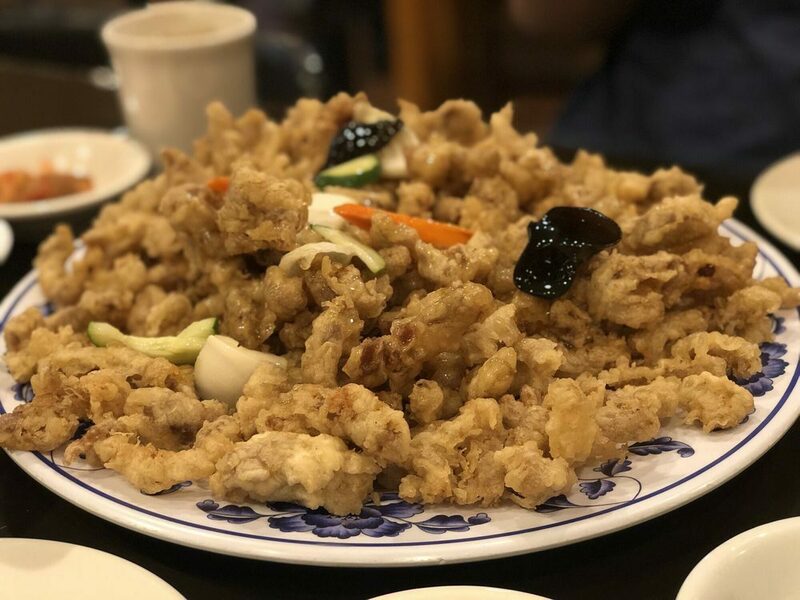 While Boston has plenty of Asian cuisine — remember to check out our guides to the best sushi, Japanese, Chinese, and Thai restaurants the city has to offer — Korean is not as easy to find. 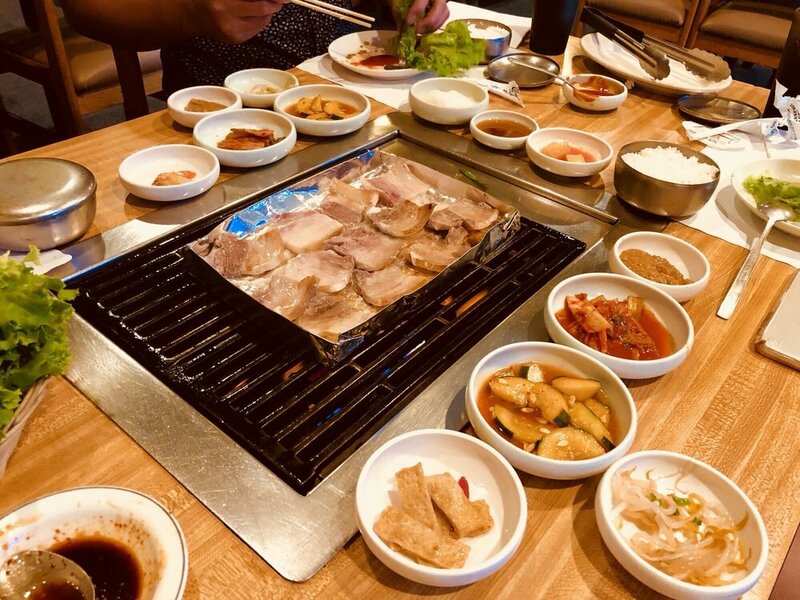 Still, there are some great options when you’re craving bibimbap, galbi, japchae, gui, or the famed do-it-yourself Korean barbecue. 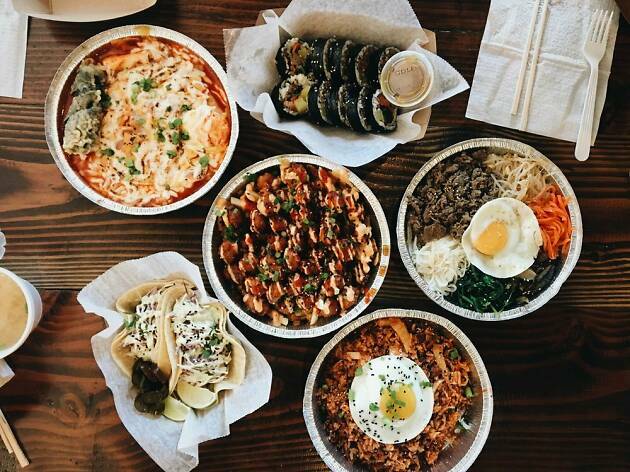 From traditional Korean to modern fusion, expand your horizons of Asian dining with these top Korean restaurants in the Boston area. For something completely different, check out Boston’s best Indian restaurants, Boston’s best pizza, or Boston’s best burgers. 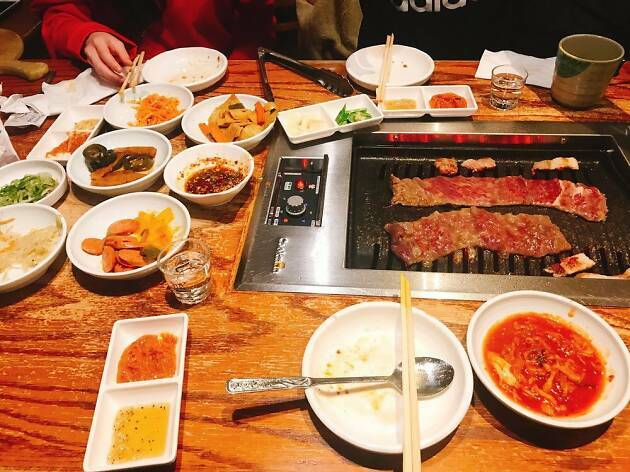 Grab a seat by one of the tabletop grills at this Cambridge Korean restaurant — in business since 1998 — and enjoy an elevated Korean barbecue experience. The grills include custom ventilators to keep the surrounding air clean, all the better to enjoy tender cuts of beef, pork, and chicken. 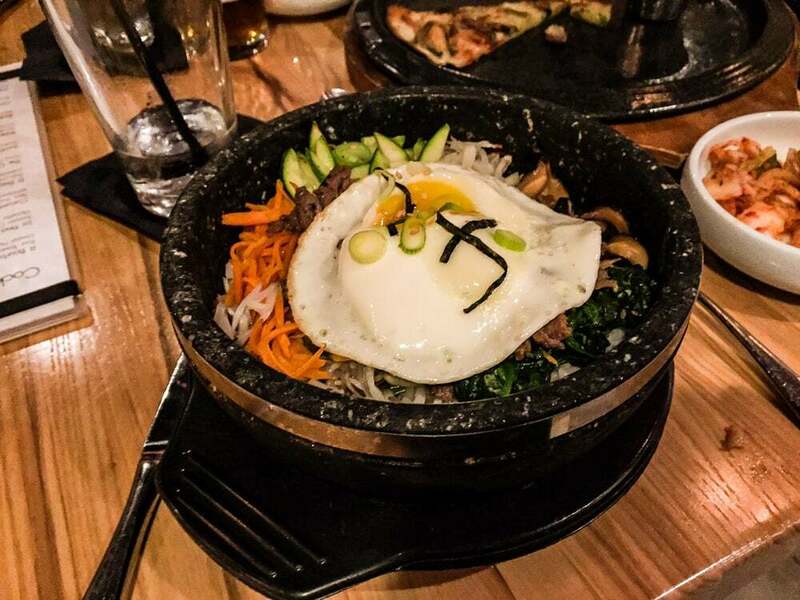 Bibimbap and hot pot are other crowd favorites. Sushi and vegetarian options are also available, making Koreana a good place for groups with diverse tastes. There’s even a children’s menu, with simpler versions of bulgogi and teriyaki. The drive to Burlington is worth it for Korean barbecue at New Jang Su. While the grills are gas rather than charcoal, the flavors are bright and the experience is fun. 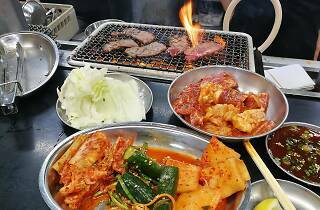 Barbecue items range from standard marinated short rib to squid and pork belly with vegetables. Mandoo, soups, bibimbap, and casseroles are equally flavorful. While soju and other alcohol are not available, bottomless cups of traditional corn tea pair nicely with spicy dishes. 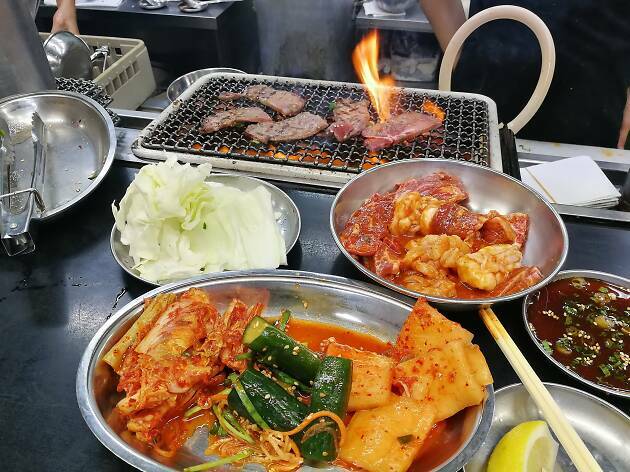 This Korean spot in Allston offers a lengthy menu of meats — including short rib, ribeye, wine-marinated pork belly, and beef tongue — for you to grill at your table. Bibimbap and soups (like mandu guk — beef and vegetable dumplings in beef broth) are also worth a try. Katsu and galbi are available for the less daring, but you can also try something more unusual, like gopchang jigae (beef intestine and vegetables in broth) or samgae tang (whole baby chicken stuffed with rice, ginseng, and herbs). Be sure to supplement your meal with a stiff soju. 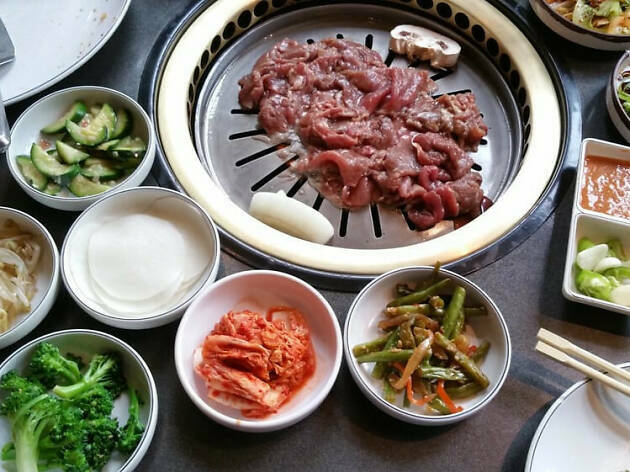 While it’s not grill-it-yourself, Koy offers tasty barbecue galbi and bulgogi near Faneuil Hall. The rest of the Korean fusion menu covers noodles, dumplings, makimono rolls, bibimbap, and fried rice dishes. The soju and sake bar includes soju sangrias, sake cocktails, and soju infusions. Bright-colored walls and Asian pop art create a convivial atmosphere. 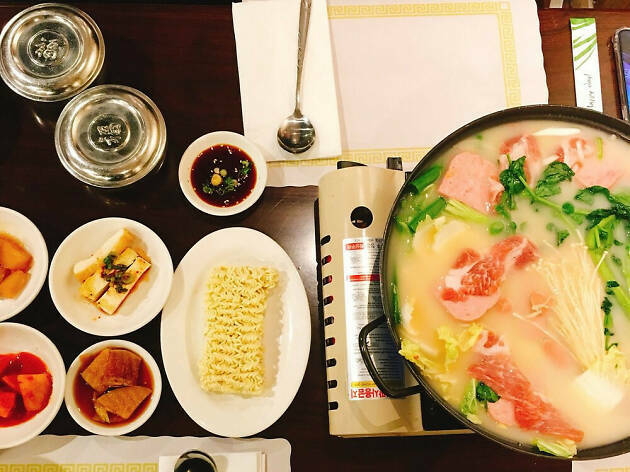 This casual Korean restaurant in Allston specializes in seollongtang, a traditional Korean ox bone broth soup made with thinly sliced brisket. Other Korean standards, from bulgogi and bibimbap to gui and bossam, fill out the menu and range from mild to spicy. Some dishes are offered in vegetarian versions. During the summer, be sure to try cold noodle specials that feature brisket, veggies, and broth. Simple and unpretentious, Coreanos offers Korean standards and Korean fusion in Allston. Crunchy Korean fried chicken, bibimbap, fried kimchi rice, and grilled meats are all fresh and flavorful. Try tteokbokki for something different — rice cakes, vegetables, and fish cake cooked in a sweet chili sauce and served with a fried kimmari seaweed roll and hard boiled egg. Fusion options include a Korean taco, kimchi quesadilla, and kimchi fritas (fries topped with pan-fried kimchi, cheese, and sauces). Somerville’s Buk Kyung serves up classic, Chinese-influenced Korean dishes. Unpretentious and family-run, the focus is on the large plates of noodles and flavorful marinated grilled meats. Many noodle dishes feature pungent black bean paste. Fried rice dishes are packed with veggies and meats. Larger sharing plates are good for groups. Don’t miss the spirits menu, featuring soju, seju, rice wine, and more.